Seeing the world in terms of elements is a tradition that goes back thousands of years throughout many cultures. 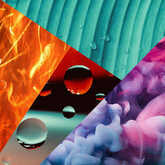 The elements represent the basic principles of life, and different systems have delineated the elements in various ways. In your birth chart, the elements represent your fundamental qualities and temperament -- the "stuff" you are made of. The element of your Sun sign will certainly be a big part of who you are, but it’s the whole chart -- the Moon, Ascendant and other planets -- that reveals your elemental emphasis. While all four elements come into play to some degree for each individual, often two are predominant, while the other two require more effort to express. For example, let’s say an individual has an elemental emphasis in Earth and Air. This person might be very adept at taking care of pragmatic, material-world tasks (Earth) and have a gift for thinking logically and viewing situations objectively (Air). However, she might find it challenging to get in touch with and feel her emotions (Water) and could struggle with summoning the initiative and courage to take action (Fire). Because all four elements are necessary to live a balanced and fulfilling life, we are compelled to compensate for those elements we are naturally lacking in our birth chart. We often attract people into our lives who are strong in our weak elements, and vice versa. Of course, these partnerships work out best when, instead of relying on the other person to make up for what we’re lacking, we learn to develop these qualities, inspired by the other person’s example. Just by understanding one’s elemental make-up you can learn a lot about a person. If you only know your (or someone else’s) Sun sign, that’s an excellent place to start. Even without knowing the rest of your birth chart, you’ll probably have a sense of which elements are stronger or weaker for you. As you’ll see, no element is "good" or "bad" in itself -- they are neutral energies that can be expressed in positive or negative ways, depending on an individual’s level of awareness. Fire has traditionally been associated with Spirit -- the primal force of animation. Fire represents the desire for life, the will to be and become. It’s no mistake that a Fire sign -- Aries -- launches the cycle of the Zodiac, as Fire signs often embody leadership, initiative and courage. People with a fiery emphasis tend to be impulsive, spontaneous, creative and enthusiastic. 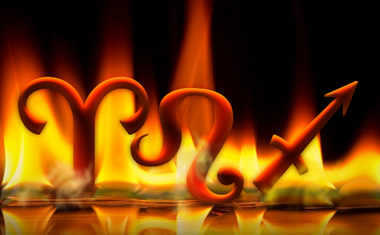 Ideally, Fire signs serve as an inspiration to others, stimulating creative action based on high ideals. When negatively expressed, there can be an over-emphasis on self-expression without consideration for others’ feelings, resulting in selfishness, egotism or fanaticism. Fire can "burn itself out" when it lacks a practical outlet for its high-voltage energy. If someone is lacking in Fire, they may need to cultivate self-confidence, vitality, courage and passion. Earth represents manifestation in the physical world. With their feet firmly planted on terra firma, Earth people are the builders and producers of the zodiac, possessing the gift of bringing dreams into reality. Earth signs provide the physical necessities of life and establish structures and systems to increase security and comfort. 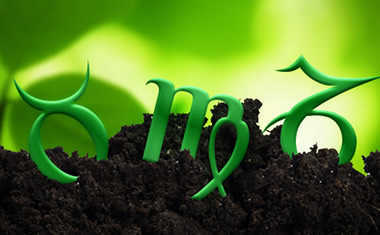 Pragmatism, endurance, ambition and sensuality are typical Earth-sign qualities. In its negative expression, an unbalanced Earth emphasis can lead to materialism, greed, over-indulgence, stagnation and fear. The Earth signs get in trouble when they forget that there is more to life than the five senses, and that the inner world is as "real" as the physical plane. People lacking in Earth may have to work hard at bringing their ideas into form and dealing with the everyday tasks of life. Air signifies the mind and communication. Individuals with an airy emphasis are the connectors of the zodiac, linking up diverse people with each other and with new ideas and information. 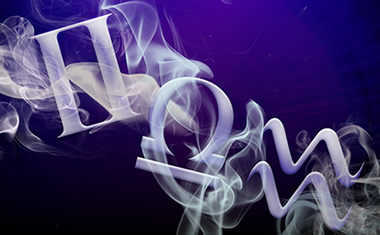 Air signs are typically intellectual, objective, curious, socially-oriented, cooperative and communicative. Air signs bring the gift of detachment and perspective -- the ability to step back from a situation and see it from different points of view, with neutrality. When negatively expressed, Air signs take impartiality to the extreme and become cold and aloof. There can also be the "all talk, no action" phenomenon -- a lot of words without meaning or substance to back them up. When Air is lacking in a person’s chart, they are challenged to develop a greater awareness of other people’s perceptions and the ability to think logically. Water, representing the realm of emotions, is perhaps the least understood element. Watery individuals are the feelers of the zodiac -- a role that is generally not held in high regard in our contemporary culture. Extremely sensitive to their environment, Water signs are in touch not only with their own deep feelings, but with everyone else’s as well, and may even be psychic. 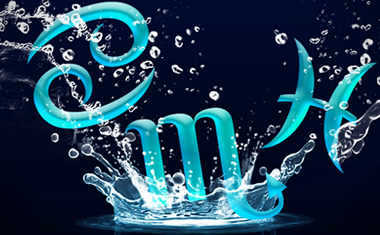 Typical Water signs are intuitive, nurturing, compassionate, resourceful, creative and imaginative. The down side to this sensitivity is the potential for absorbing other people’s emotions to the point of feeling overwhelmed -- this is why Water people need time alone to recharge. Excess Water in a person’s chart can also lead to emotional over-reaction, paranoia and escapism. People lacking in Water may have a hard time accessing their emotions, and be insensitive to others’ feelings. They are learning to develop compassion and intuition.